The RWS team is made up of local and global partners to provide best engineering solutions with the top-talent to provide world class solutions. 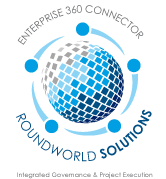 RWS has business process expertise to solve complex enterprise, manufacturing, and business integration issues to improve productivity, reduce waste, and save time and money for the organization. The RWS Headquarters based in Southern California provides US time zone support coupled with local project management resources. RWS provides contract management services with clearly defined KPIs ( Key Performance Indicators), touch points, and deliverables to manage local and global projects that are tailored to your company’s unique and specific needs.